Novelys - Back from Euruko 2010 ! Euruko 2010 afterparty, originally uploaded by novelysfrance. We're back from Euruko 2010 and we're very pleased to have sponsored this conference ! We went to Krakow with Yann to attend the event. And thanks to Paul Klipp, Ela Madej and the rest of the organizing crew, Euruko 2010 was a bliss. The conference room was fully packed with Rubyist and good technical talks. Beside, you will find good overview of the 2 days conference here and here. Bonus1 : Krakow is really a lovely city. 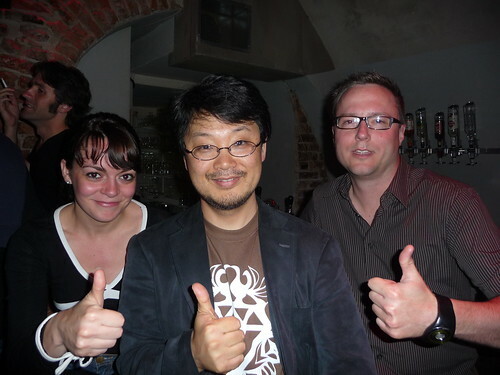 Bonus2: we even had a chance to take a photo with Matz, the creator of the Ruby language !